The last 40 years have seen improvements in many of the ways we live and at a faster rate than ever before. This applies in increased life expectancy, falling infant mortality, individual purchasing power, access to education, clean water provision, and the like. One of the biggest advances has been increased ways to communicate. And nothing has given poorer people more ways to do so than cellular telephony. As recently as 1998, a government study of how people get from A to B described 12% of adults as “stranded”. These were people so poor that they didn’t have a bicycle nor money for even the cheapest taxi fare. They lived pretty well within their line of sight. The advent and spread of the social welfare grants system has since virtually ended this, and the stranded now travel regularly. Widening horizons in knowledge also comes through technology, and we are just beginning to experience the ways. Despite a massive rollout of landline services by Telkom during the Nineties and the last decade, landline usage has fallen thanks to the rise of handier mobile services. 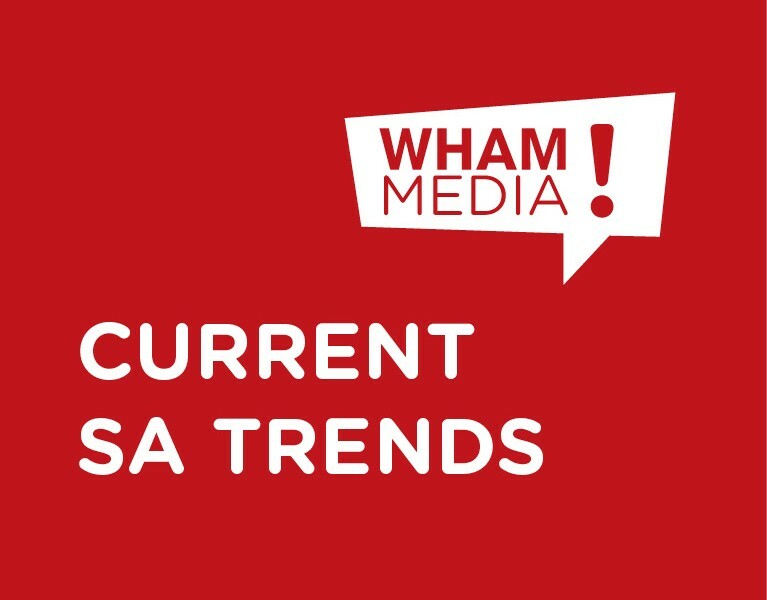 Stats SA reports that 94% of households either had no access to landline phones, or had their service discontinued, by 2011, a fall of 31% since 2007. Yet people in 89% of households had cellphones, up from 71% over the same period. South Africa now has more mobile phones than people (a higher proportion than the US) and our sometimes obscenely profitable service providers are under pressure from government and regulators to reduce prices being charged for network access. Off cellphones comes greater access to the internet, to which 43% of South Africans had regular access by 2011. We can expect all manner of mobile applications to come from this. Trends analyst Clem Sunter points to the fast-spreading use in parts of KZN of a cellphone application that links wholesalers, product distributors and small rural retailers in a stock replenishment and control system. He also points to a perhaps surprising leader in African cellphone technology use, Kenya, home to the continent’s largest cellphone banking application, M-Pesa. This sort of “e-wallet” gets rid of the need for banks to run expensive branch networks in poor areas by letting cellphones be the site of most banking transactions. Even salary payments reflect on phones and shopping purchases are made using them. This system has also been introduced in Nigeria, a country with 110 million active cellphones but fewer than 25 million bank accounts, and is starting in South Africa, reports Good Governance Africa (GGA), a Johannesburg-based think tank. In its most recent “Africa in Fact” monthly publication, GGA looks at how particularly rural farmers are starting to benefit from cellphone services, again with Kenya leading the way. One of these, M-farm, updates current produce and livestock market prices by SMS to 6 400 rural farmers who negotiate their sales and timings with distribution brokers. Another service, iCow, lets rural farmers track the gestation periods of their cattle, again using SMS. Other services track weather patterns and insure crops. These things are probably just the very beginning of a revolution in how poorer people get to have more information from more sources, cheaply and quickly. They will likely expand our horizons of choice dramatically.